ACE (Architecture. Construction. 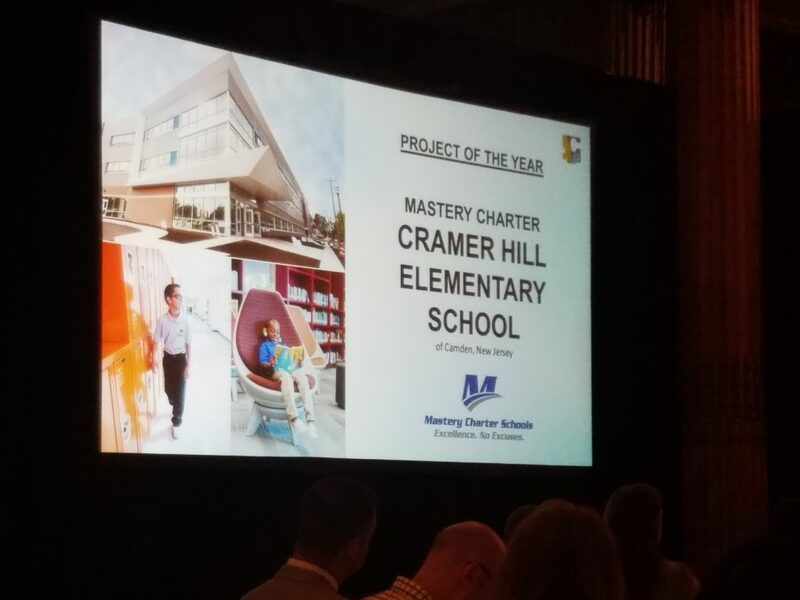 Engineering) Mentor Program of Eastern Pennsylvania awarded Mastery Cramer Hill Elementary School 2018 ACE Project of the Year. Mastery COO Joseph Ferguson accepted the award at an event on May 23. Cramer Hill, a brand new state-of-the-art school, opened in Camden, New Jersey in August 2017 and serves students in grades K-8. The building has a library with cozy seating, a digital resource center, large bright windows, and nearly 3,000 square feet of vegetated roof to reduce rainwater runoff and provide a place for students to touch, feel and absorb science and other classroom lessons. The mission of the ACE is to engage, excite and enlighten high school students to pursue careers in architecture, engineering and construction. More than 60 Mastery students across six campuses are currently in the ACE Mentorship Program.